Had the video for “Control” been released during the height of MTV’s 120 Minutes, London’s Desparate Journalist would have been the toast of NME for a hot minute. Muscular, melodic and properly morose, “Control” is the opening track from Desperate Journalist, the band’s self-titled debut LP which follows two singles and an EP since the band formed in early 2013. 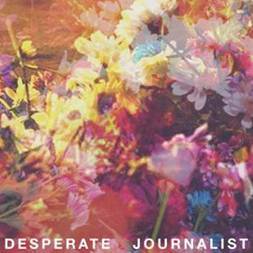 Released digitally this month, Desperate Journalist will be available on vinyl and CD via Fierce Panda Records on 26 January 2015. Watch the video for “Control” below and purchase Desperate Journalist via iTunes.